This is a fun cookie for the Holidays coming up. 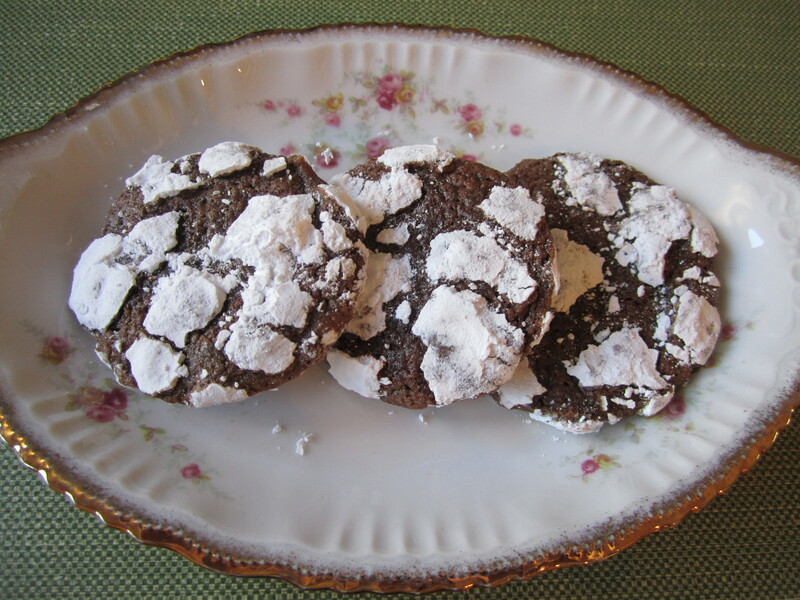 I ripped this out of a Southern Living Magazine, “Moms and Daughters Bake Cookies” for a cookie swap. What year that was, I have no idea. The picture attached to the article, a mom and daughter filling cookies tins with these cookies, looks like it could be from the late ’80’s. Do people do cookie swaps anymore? Sounds like fun! Before you make these, you must know that the dough needs to be refrigerated for at least 2 hours. The dough is very soft and it needs that refrigerated time to firm up, so that you can roll it in the confectioners sugar. Overnight is also an option. 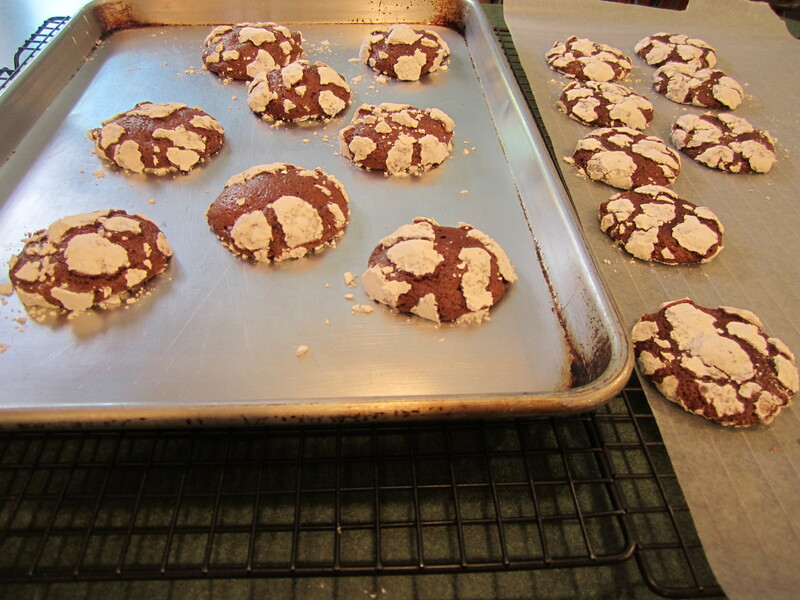 I actually baked mine over a 2 day period and the cookies were just as good as the first day that I made them. 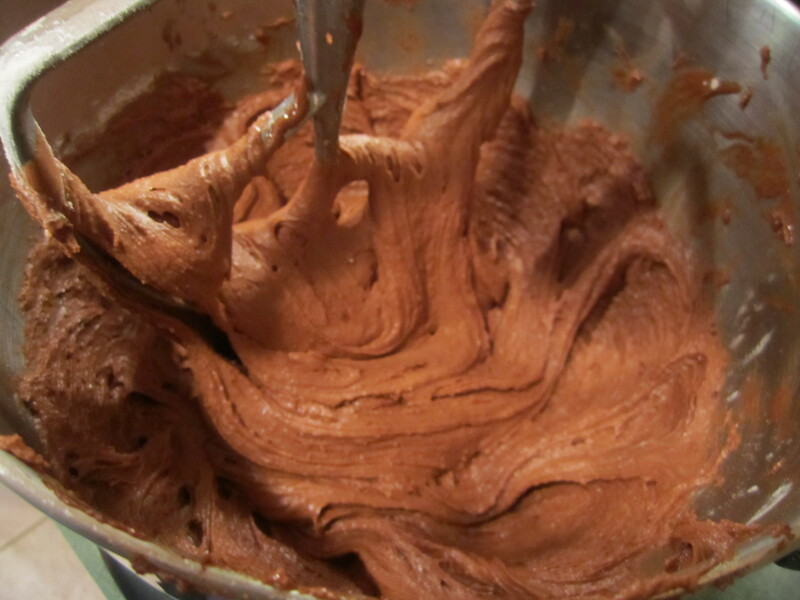 Combine flour, baking powder and salt in a medium bowl and stir with a whisk until combined. Set aside. Put butter in a medium glass bowl. 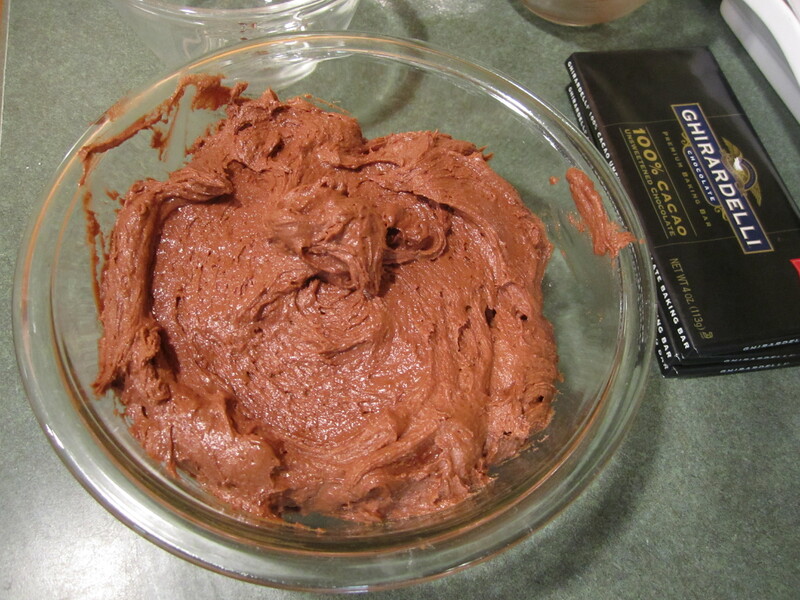 Break up chocolate and add to butter. Put bowl in microwave and heat for 1 minutes on high. Remove from microwave and stir, stir, stir until everything is melted and combined. If after stirring ALOT and the chocolate still has not melted, put it back in the microwave for 10 seconds and then stir, stir, stir. 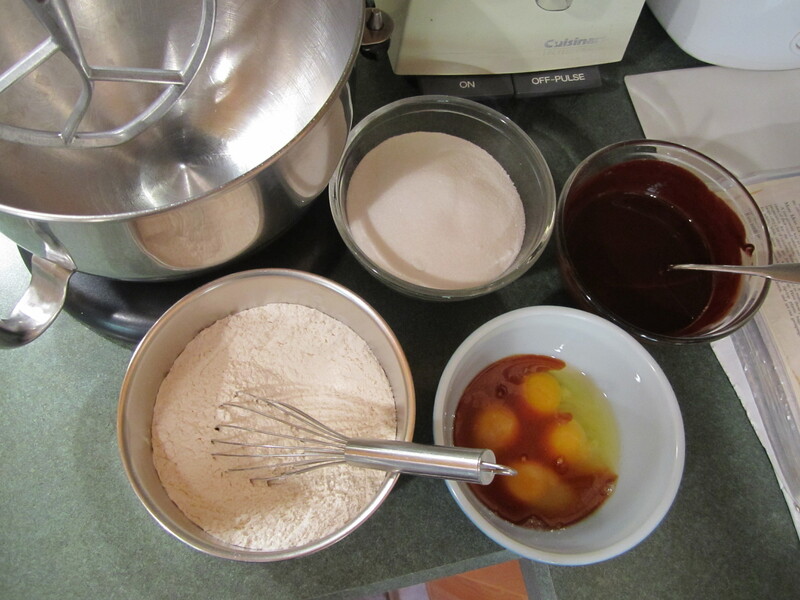 Put sugar, melted butter and chocolate in a large mixing bowl and beat at medium speed with your mixer, for one minute. Add eggs and vanilla and beat for one minute. 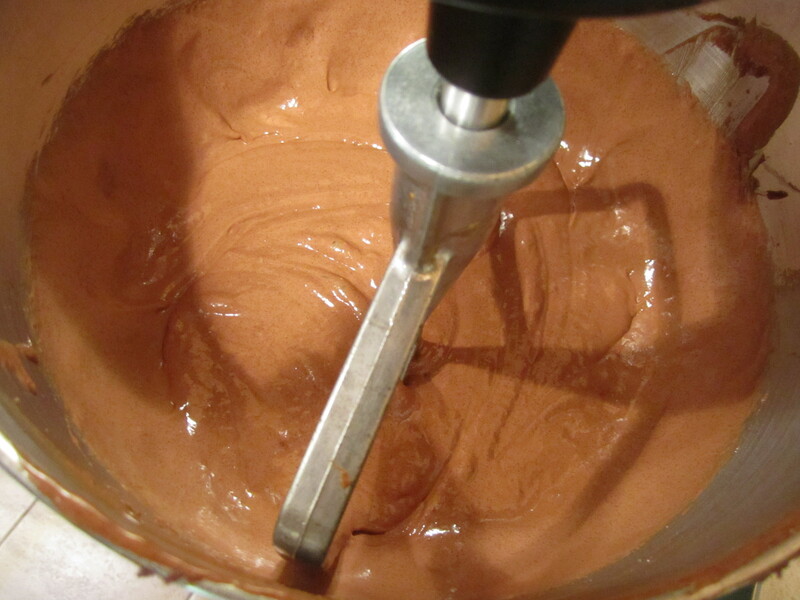 Add 1/3 of dry ingredients to chocolate mixture and beat until just combined. 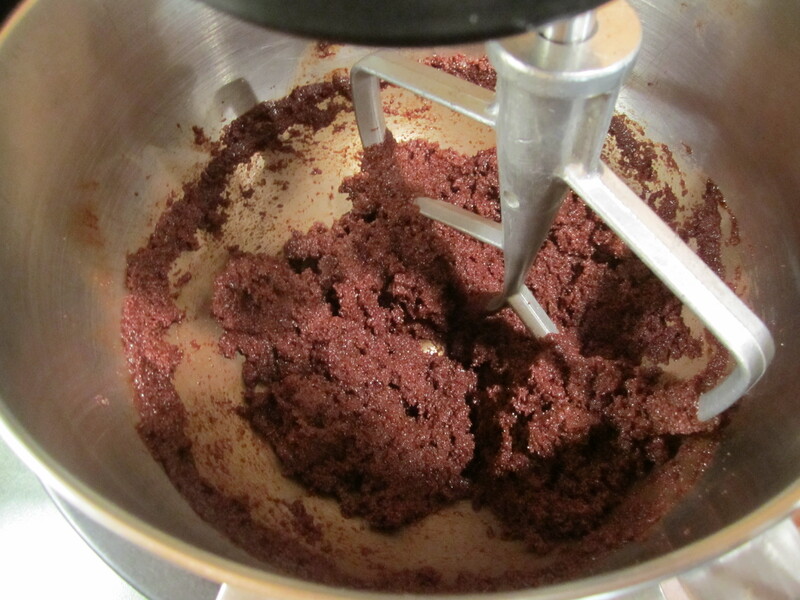 Continue this way until all of dry ingredients are added, beating together until just combined after each addition. 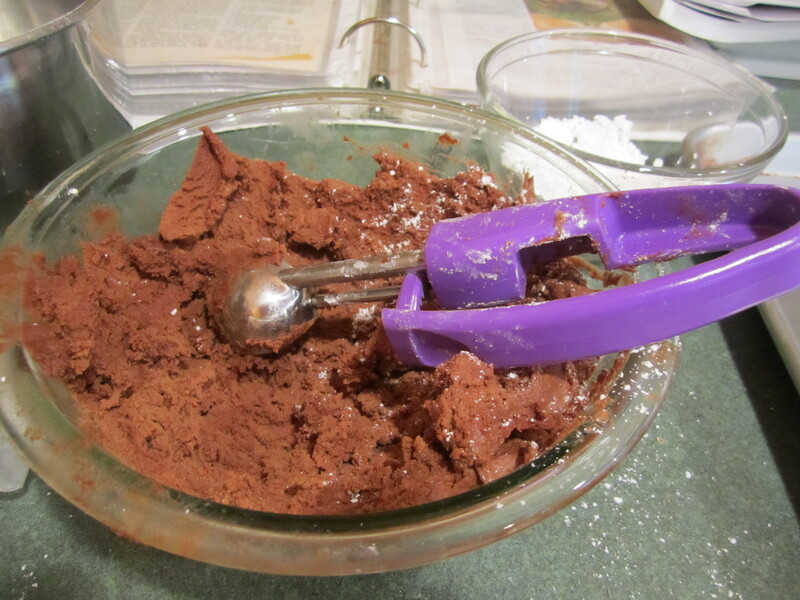 You can put this batter into a smaller bowl, so your mixer bowl is not occupied. Or not. Cover bowl and refrigerate for at least 2 hours. 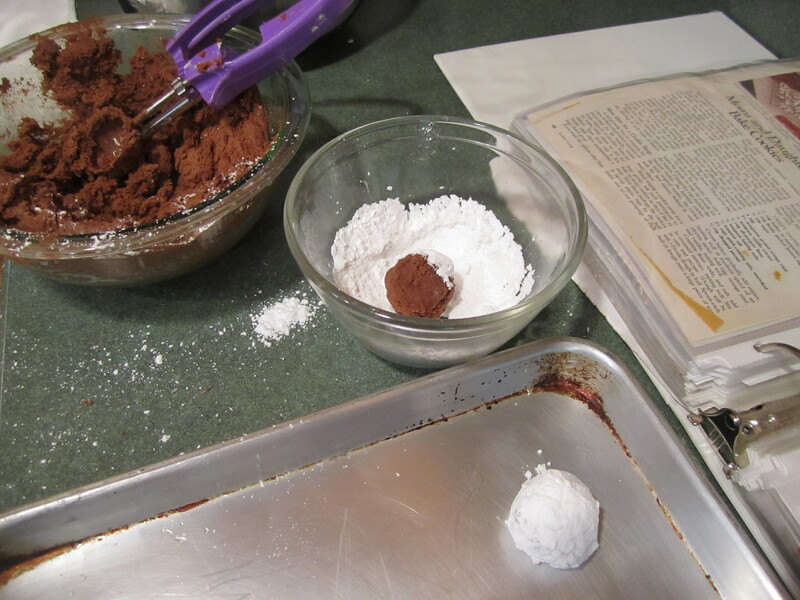 Shape dough into 1 inch balls and roll in confectioner sugar. 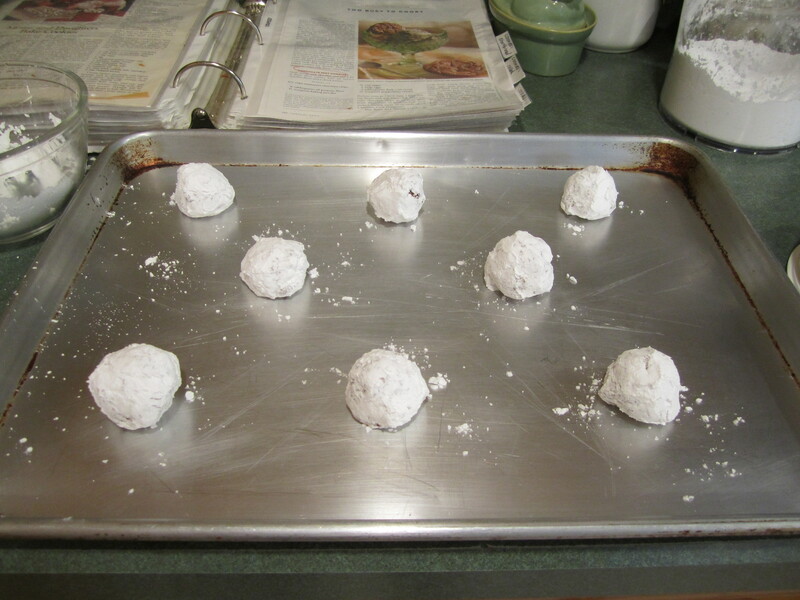 Place cookies 2 inches apart on cookie sheet. Bake for 12 minutes, turning cookie sheet half way through. Cool on wire racks. 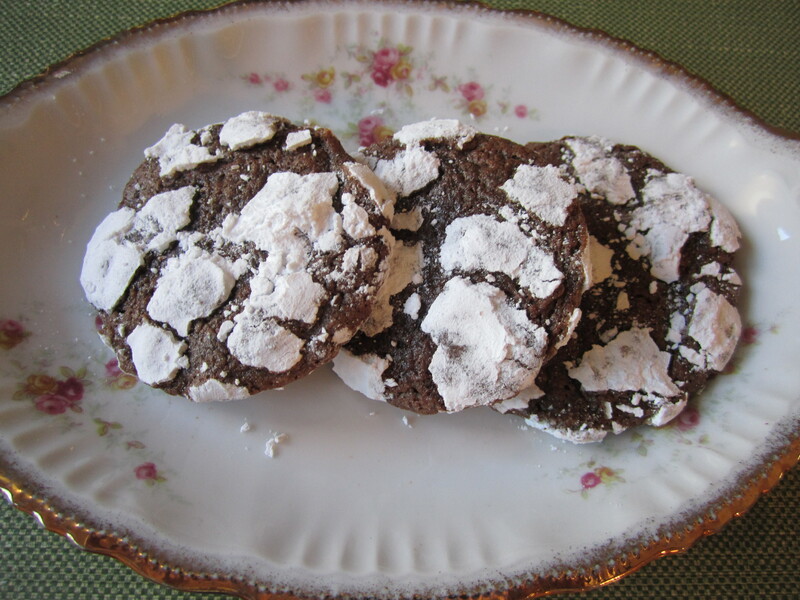 It’s difficult to see with chocolate cookies whether they are done because well, they’re black! The only way to really tell, is to let your first sheet of cookies cool and then try one. You know, all in the name of Science! The Science of cookie making, that is.